Our Blessed Mother has been endowed by God with many attributes and titles. Like the rising and setting sun which exudes a myriad of colors, she too shines and exudes many facets of her personality. In Fatima, she was the prophetic, warning Mother; in Lourdes, she was the Health of the Sick; in Guadalupe, she was the Mother of Life. For a moment, let us lovingly look at her as the Black Madonna. This venerable icon called the Black Madonna does not resemble Caucasian images of the Virgin Mary. She does not have the fair European looks. Instead, she is very dark brown and her eyes seem to droop out of sorrow. Very prominent are two long scars running deep on the right side of her face - scars which speak of the violence inflicted on her. The Black Madonna shrine on the hill called Jasna Gora (Mountain of Light) in Czestochowa, Poland is regarded as the national shrine. She is Poland’s symbol of identity, a rallying figure throughout its history. She has been crowned by nobles, kings, and prelates. Whence came this icon that the Polish so venerate? A whole legendary halo surrounds its origin. In the people's minds the icon was none other than the Madonna of St. Luke, carved into the top of a table built by St. Joseph for the Holy Family. Historical studies, on the other hand, place its origin between the 5th and 8th century. The original antique icon could be traced to the Byzantine period (AD 395 to 1453) when ancient Egyptian and Greek art was most influential. It is from the people of the East that the Black Madonna is said to have originated. At that time, the East (Byzantine or the Eastern Roman Empire) included the European areas south of the Danube as well as Asia Minor, Syria, Greece, Egypt, Iran, Iraq, among others. The icon is therefore a precious heritage from the Eastern Church and represents a wonderful symbiosis of Eastern and Western Christianity. Tracing the journey of the Black Madonna is an interesting but difficult task. Its arrival in Czestochowa, Poland where it is presently found is recorded in history: Wednesday, 31 August 1382. But prior to that, the antique icon had an amazing journey through many lands as it passed hands many times. Its journey could be traced from popular beliefs and old historical documents. Apparently, wherever it went, it was highly revered, especially because miracles were attributed to it. The precious relic was discovered by St. Helena during her pilgrimages to the Holy Land. St. Helena was the mother of Emperor Constantine (AD 324-37), the Roman Emperor who made Christianity the official religion of the Roman Empire. From Constantinople (now Istanbul in Turkey), the icon journeyed to a duchy of Poland, Ruthenia (now Czechoslovakia) where for a time it was hidden in the castle of Belz. In Belz, at around the fourteenth century, the holy icon came to the possession of Prince Ladislaus who wished to carry it to his town of Opole in Silesia (now in Czechoslovakia). On his way home, passing near the town of Czestochowa, the horses suddenly stopped and would not move. Ladislaus understood that God's Will was to leave the sacred image upon the hillside of Czestochowa. He entrusted the precious relic to the Pauline Fathers. That was in the year 1382 and since then the Black Madonna has not traveled but has indicated that its home would be in Poland's mountain of light. From then on, the icon would also be called Our Lady of Czestochowa or Our Lady of Jasna Gora. The name, Black Madonna, however has also endured, maybe because it is easier to recall and also testifies to the long history of the icon prior to 1382. During Holy Week of 1430, the shrine was plundered by bandits who tried to take the icon. But miraculously, the holy picture became too heavy to move! While the icon had journeyed thousands of mites since the time of St. Luke the Evangelist, now that it had found its home in Czestochowa, it simply would not budge! Instead of being fearful, the evil thieves pierced the face of the Madonna with a sword. Artists tried to renovate the ruined picture but failed. They then painted a new picture as a genuine copy and in memory of the desecration of the holy image, included the sword slashes on her face and neck. This is the same painting that is presently found in Jasna Gora. To understand the Black Madonna's role in Poland's history, one has to look at the country's geography. Poland is situated between two mighty, aggressive nations, Germany and Russia. Belonging in spirit to neither, she was often at war with both. It was during these tortured years as a nation that the Poles learned to look at the scarred face of their Mother and see in her a reflection of their own suffering as a people. 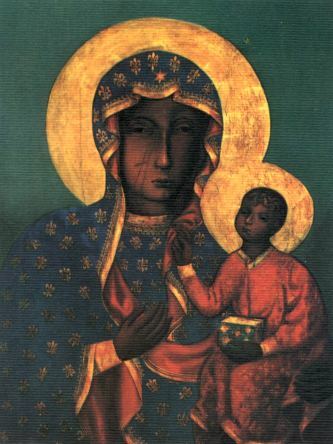 The Black Madonna, in turn, has not let the Polish nation down. Here is one such story of how she delivered the country from invaders. At the height of the disaster, this miracle was effected. Like a Noah's Ark in the midst of the deluge, the monastery of Czestochowa resisted the enemy. The prior, Augustine Kordecki, gathered a handful of soldiers round the picture, venerated for centuries, of the Black Madonna; and after a forty days’ siege the Swedes were, for the first time, forced to beat a retreat... Faced with this unheard-of-fact, which seemed like a legendary tale, the nation recovered itself. The siege of the Marian Shrine by Protestant Swedes was seen as a brutal insult against the Catholic Church in Poland. The war became more than just a defense of king and country, but a defense of the Catholic Faith. Because of the victory, on 1 April 1656, King Jan Kazimierz dedicated his kingdom to the Mother of God and conferred on her the title “Queen of the Polish Crown”. So important in Polish history are these vows of King Jan that 300 years later, in 1956, they were renewed by the whole nation. The twentieth century has been another Calvary for Poland as the nation suffered under Germany and Russia. In the tragic years of German occupation during the Second World War (1939-45), Poland suffered a collective martyrdom. In addition, instead of relief after the war, the nation came under control of the Soviet bloc and faced still another enemy: atheistic Communism. As the Polish Pope subsequently confronted atheistic Communism in his own homeland, it could be said that the spark of light, which would ultimately overcome the dense global darkness brought about by atheistic Communism, came from Poland. The history of the Polish nation and the history of the icon of the Blessed Virgin are so intertwined that often it is virtually impossible to separate the purely patriotic issues from the religious. The holy icon of Mary became a national symbol of the sufferings and unity of the nation. How nations, even the Philippines, can learn from the example of Poland! Do our leaders go to our EDSA Shrine to pray with sincerity and not simply out of political expediency or for show? Can it be said that Mary reigns in our day-to-day politics? Another indication of the extent to which Marian fervor has penetrated the Polish soul is the fact that there is a substantial amount of Polish literature dedicated to Our Lady of Jasna Gora. A Polish dramatist, Lucjan Rydel (1870-1918) in his drama entitled Polskie Betlejem (The Polish Bethlehem) represents Mary, Queen of Poland as kneeling down with folded hands and interceding for her suffering people. Her Son shows pity because of His mother's supplications. My Son and my God, behold, on behalf of my subjected people, I fall on my knees before your Majesty. I am torn into dust; and my eyes filled with tears, I beg for my people! They call me their Queen! This people is poor but remains faithful to me. But their golden crown on my head hurts me with its thorns;. 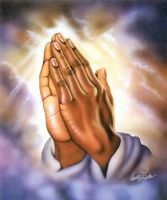 Its pearls are made out of tears, its rubies out of blood; Its gold is heavy like the iron shackles... 0, my Heavenly Son! My earthly sons are a prey to their enemies! Look, the whole of Poland flees under my mantle, And with head bent under the enemy's yoke, Cries out in its tortures: Mother! Mary! 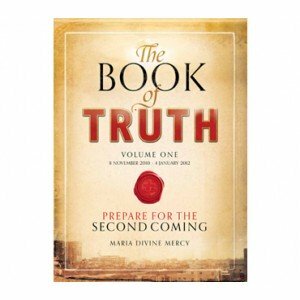 Click here to return from Black Madonna to Catholic Spirituality.